The Anglican Students Federation (ASF) is an Umbrella body of all Anglican Societies (ANSOC). 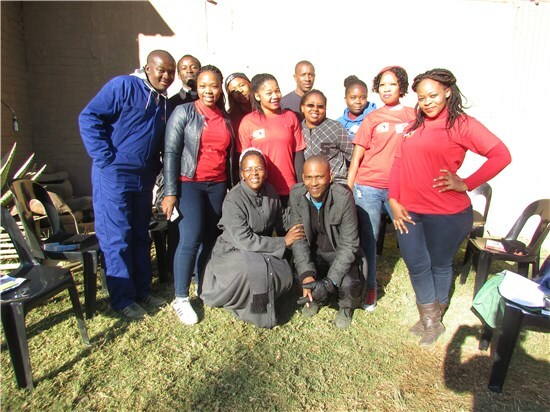 It provides Student ministry to students at tertiary institutions within the Anglican Church of Southern Africa (ACSA). Students meet in their different campuses to worship, Bible study, community outreach, plan and execute projects, fellowship and have lots of fun together on weekly bases. ANSOC activities extend across denominational boundaries. To most students, ANSOC is a Home away from Home. The Anglican societies on each campus generally comprise a group of between 10 – 100 students with a campus Chaplain, providing pastoral care and guidance. ASF operates now with 12 Regions within ACSA. The regions include 7 Regions in South Africa, then Lesotho, Namibia, Swaziland, Mozambique and Angola. ASF has over the years shown to be the front-runner in building ACSA as a common body. For the last 7 years ASF has had conferences in South Africa, Mozambique, Swaziland and Lesotho. ASF has also had President from these countries. "It is a place and a time of sharing, meeting new people, worship, Bible study And making friends for life"
ASF was created in 1960 by Anglican theology students. Their aim was to seek justice and equality both within the Church and South African society as a whole, which was deeply divided at the time owing to the policy of Apartheid. For many years ASF provided a forum where students of different races, tribes and cultural backgrounds, mainly inspired by the teachings of the Anglican Church, came together with a common vision to fight social injustice, racism and discrimination. People like Michael Lapsley were strongly involved with ASF – as a priest and chaplain to students, as well as a protagonist in the struggle against apartheid. After the advent of the democracy in South Africa, the struggle against Apartheid, in which ASF played a small but meaningful role, was not longer the binding factor and the focus of ASF had to change. New concerns and new expectations were arising as part of the new political, social and economic scenario, and our focus switched to issues such as Transformation on Education, Gender Issues, Outreach Programmes and HIV/AIDS. For many years ASF activities were limited to South Africa and later to Lesotho. During the 1990's we expanded with great success to Swaziland and Mozambique. During this period, ASF had, for the first time in its history, two presidents from Mozambique and one from Swaziland, and held conferences in Mozambique in 1999 and Swaziland in 2000. The International character is one of the great strengths of ASF, as it enables students from different countries, with different languages and cultures, to share experiences and widen their vision as Christians and persons. Students from other countries who had a chance to attend the previous ASF Conferences had a lot to tell because they had many new experiences in their lives, and all of them very enriching. The establishment and launching of ASF in Angola. Since 1999, ASF has been using two languages: English and Portuguese. It will therefore be easier to extend our minitry to Angola, which is also a Portuguese-speaking country.The revival of the Namibia region.To encourage more students to attend and participate in ASF activities.To be involved in fighting the HIV/Aids pandemic that has engulfed the whole of our continent, in particular the Southern region. Our challenge is to help raise awareness, care for the affected and infected, support Government inititiatives and NGOs dedicated to alleviating poverty among Aids orphans, and to engage in Voluntary Counselling and Testing (VCT) workshops.Expansion of ASF in all institutions, popularising the organisation and ensuring it is well known at all levels.